Then I ordered and spun 2 plys of eggplant and one of rust as my semi-solid contrast. 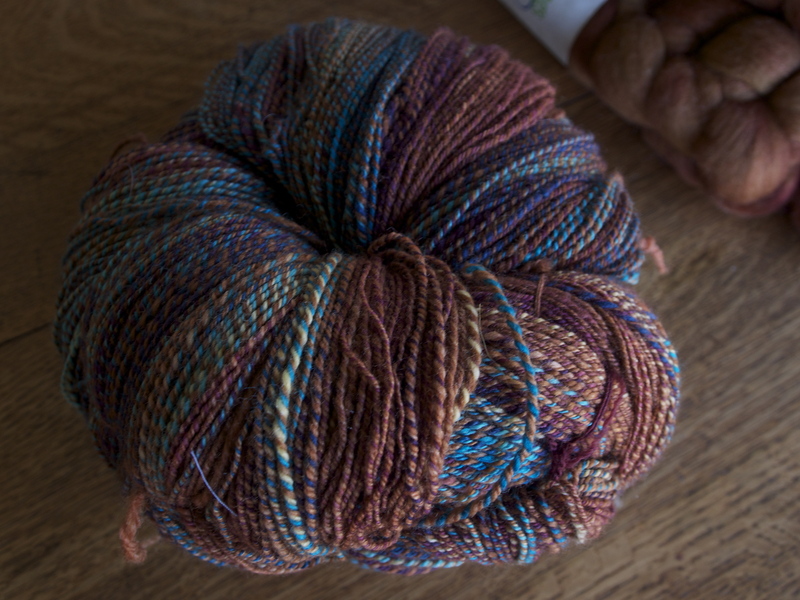 My problem here was that my spinning was not as fine with the semi-solid as it was with the variegated. 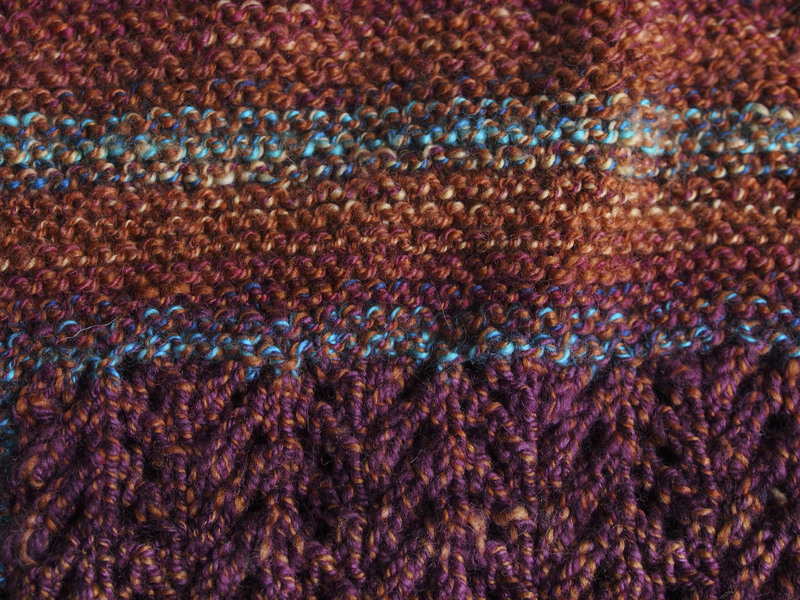 After that, and a couple of false starts with patterns, my friend Jane suggested the February Ladies Sweater. It was the perfect match. I was able to most of my semi-solid to maximize the length. Then I needed to choose buttons. These were the 2 choices that I had on hand. Even though there is no green in the fabric, I think that it made the best option, pulling out the other colors. 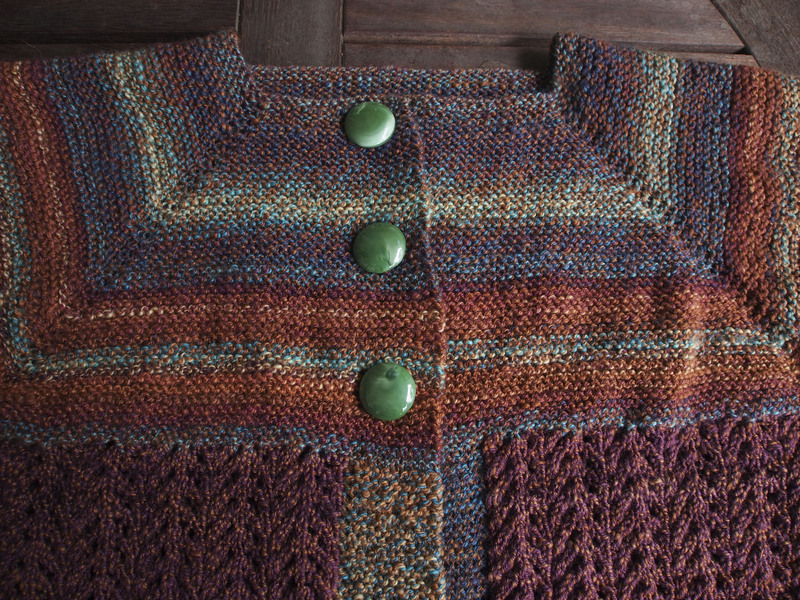 Problem is that the buttons are a bit too heavy for the drape of the sweater. I will be on the lookout for something similar though. The 3/4 length sleeve is just right. 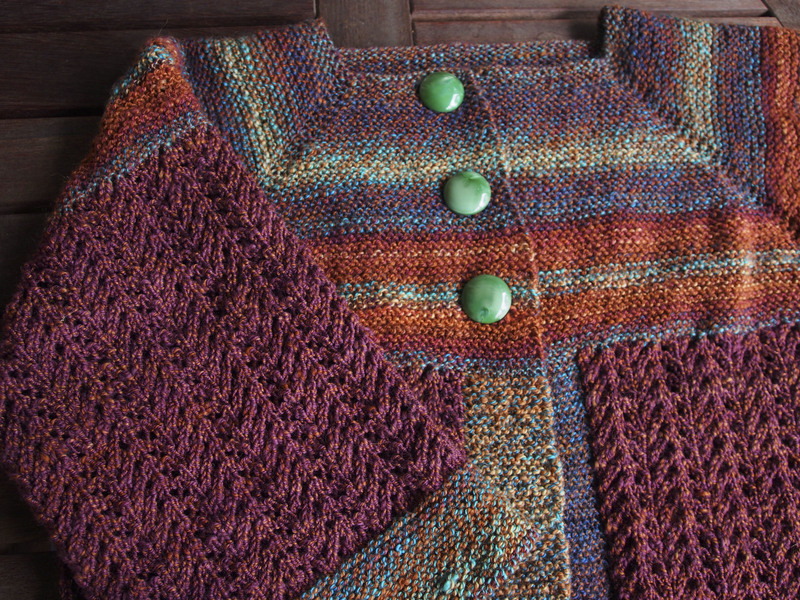 If I were to restart this sweater I would have fractally spun the variegated so has not to have the long concentrations of pooling. That said, I do love the colors, and the fibers were a dream to spin. It always amazes me to see the starting fibers and the finished product…looks great! 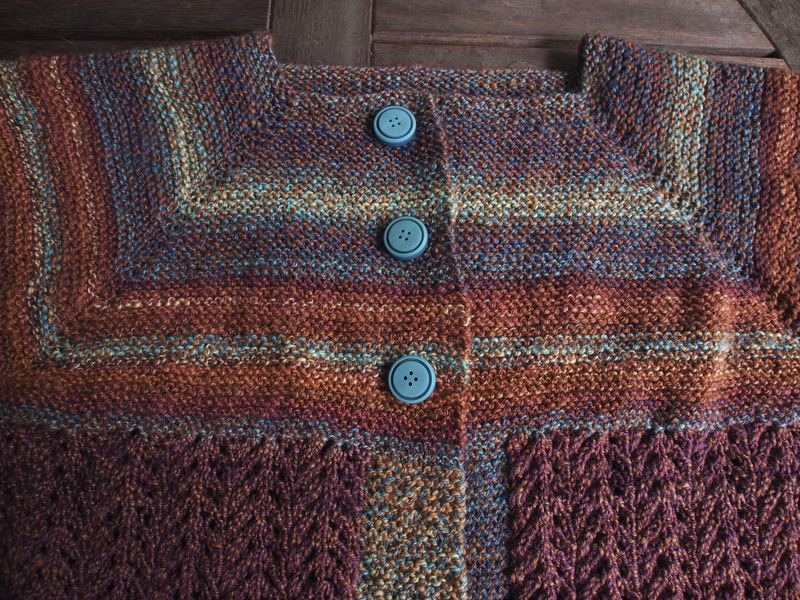 This was my first sweater, I wasn’t really sure how it was going to turn out, but I am happy with the results. Thank you! I think that I have to change the buttons though, they are too heavy for the fabric.